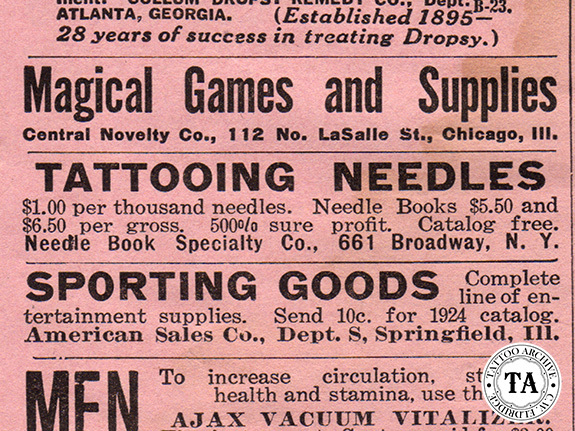 In the last few years’ needles, as used in the art of tattooing, have come a long way. It’s not so much the needles themselves, but the way they are packaged and sold to tattoo artists. 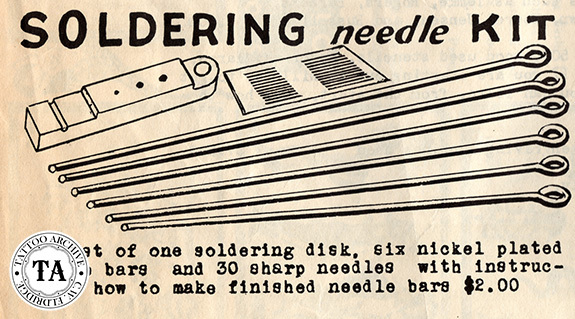 Back in the day a tattooist bought needles by the thousands, sorted through them discarding the ones that were flawed, and soldered the remaining good ones into the configuration that worked best for them. 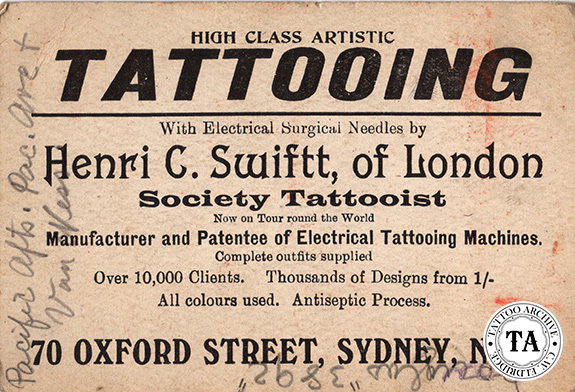 Needle making was one of those skills that often separated the good tattooist from the not so good one. For decades the finest needles were made in England and exported around the globe. In fact, in 1775 in the American colonies, a reward of 50£ was offered for the first 25 dozen "made in America" needles equal in quality to those from England. 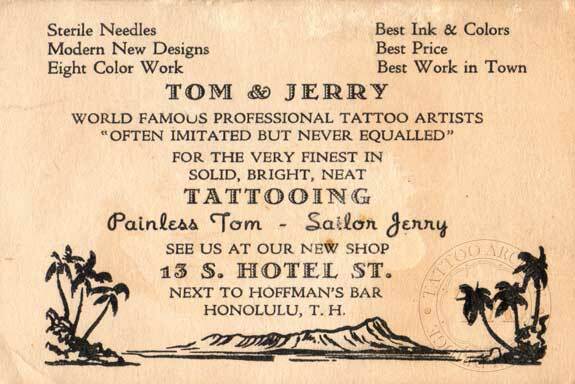 Many an American tattooist proudly advertised that they used only the very best English needles, while the English tattooist advertised that their needles were imported from Japan. 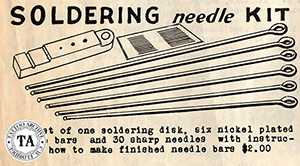 I guess imported needles were always superior to those made at home. Today, quality needles are made around the world.